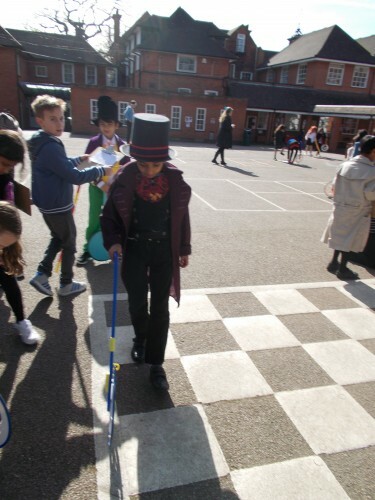 Metre sticks, measuring tapes, rulers and metre wheels – some of the varied equipment we used to practise our measuring skills. 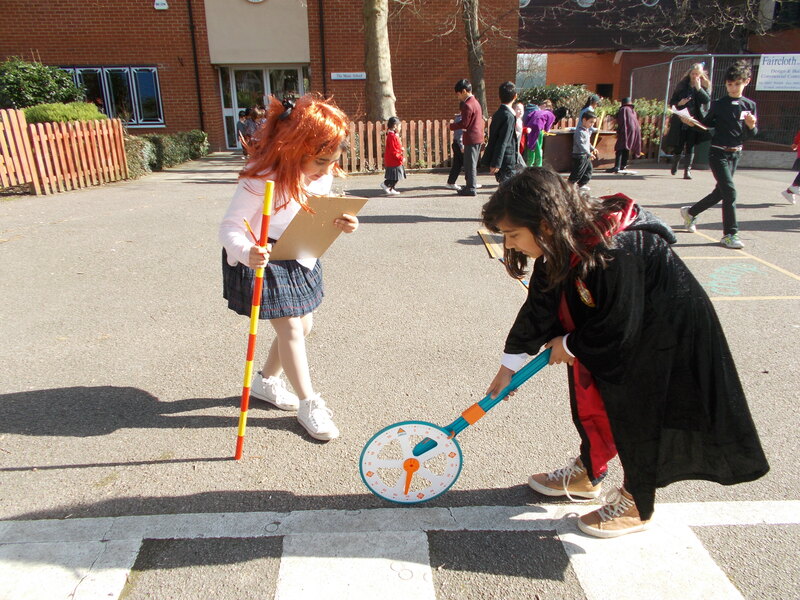 Luckily the sun was shining so we were able to go outside and find many different objects and areas to measure. 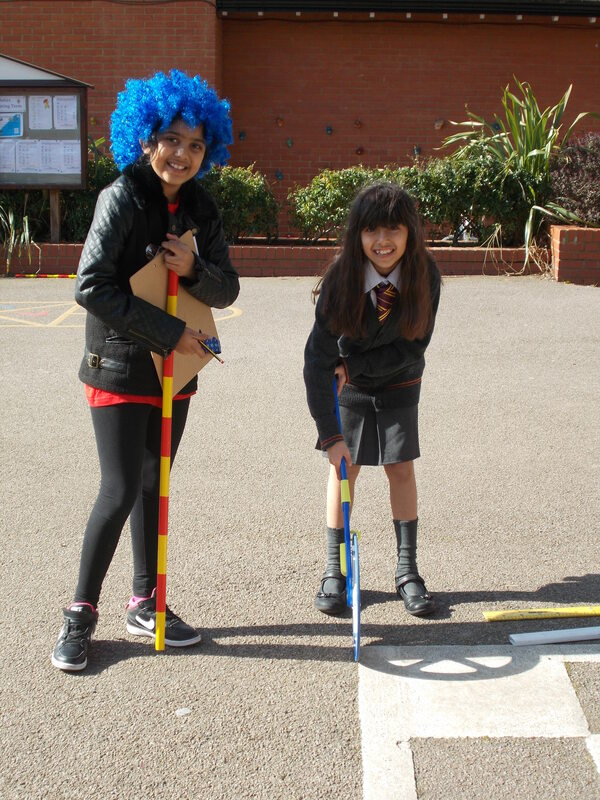 We also managed to work out how much paint Mr Baker needs to mark the rugby pitches each week. If you need anything measured please just let us know!